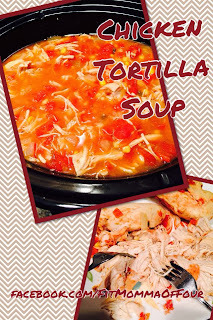 I made this Chicken Tortilla Soup in the crock pot the other night & we have been enjoying the left-overs ever since. It is a hit with the whole family & SO SIMPLE. Love it!! Cook in crockpot on low for approx 8 hours or high for 4 hours. When soup is almost ready, remove chicken & shred with two forks. Then return shredded chicken to the crockpot & stir. *when serving, as a spoonful of plain Greek yogurt to add a little creaminess. *I think a can of black beans would be a nice addition as well. I plan on trying that next time I make this. And I WILL be making this again!! Click here for more clean eating recipes!